In this week's Designing Women profile, we take a peek into the archives of Ford Motor Company's Design Studio—now celebrating its 80th anniversary—and find an extraordinary woman along the way. Mimi Vandermolen posing with the 1993 Ford Probe. All images, unless otherwise noted, courtesy Ford Motor Company Archives. Although the studio was established in 1935, it wasn't until the end of World War II that women joined Ford's design team. With men still off at war and automobile manufacturing beginning to ramp up again—all passenger car manufacturing had come to a halt during the war, as factories were retooled for military purposes—they filled an important gap. 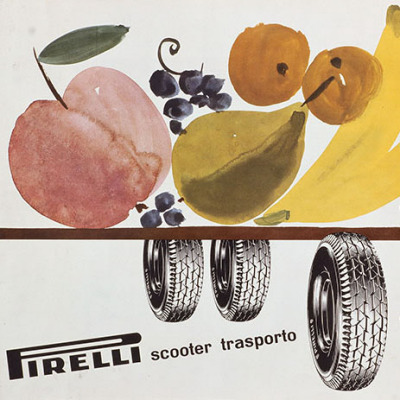 Illustrator Leota Carroll was the first woman designer hired, and she was followed by a handful of others, including Beth O'Rourke and Doris Dickason (who designed steering wheels and instrument panels), Florence Henderson (ornamentation) and Elre Cambell and Letha Allan (color and trim). But their tenure at Ford was short lived, and by 1948 the female designers had all departed, replaced by men returning home from the front lines. Ford's Design Studio wouldn't hire another full-time female designer until 1970, when Mimi Vandermolen joined the team and became part of a very small minority of female automotive designers worldwide. 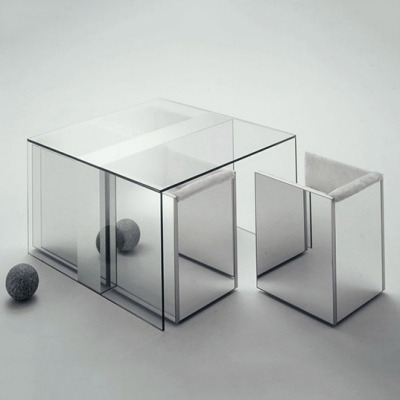 Vandermolen was born in the Netherlands and raised in Toronto, where she was one the first women to study industrial design at the Ontario College of Art and Design, graduating in 1969. Her first design job out of school was with Philco, a home appliance company formerly owned by Ford. From there she transferred to Ford's automotive side, where she worked as a trainee on the Mustang II exterior and, later, its interiors. 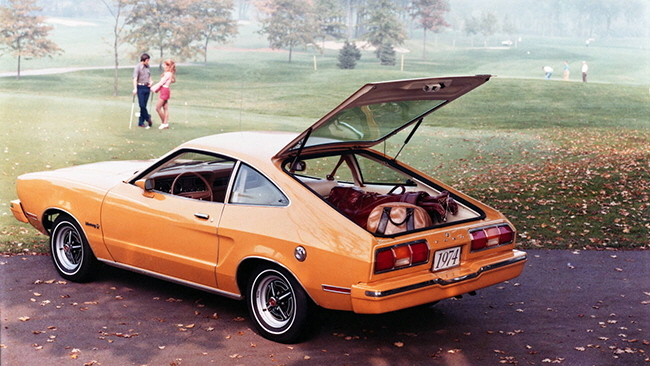 The resulting 1974 redesign was a radical new model type—coming in 19 inches shorter than its predecessor, it had more in common with a Ford Pinto than a first-generation Mustang. Next, Vandermolen joined the team for the redesigned 1975 Granada, working on both the interior and exterior designs, but the oil crisis hit the auto industry hard and she was laid off from Ford in 1974. Determined to continue her career, she went to work for two years at Autodynamics, which handled outsourced jobs from Ford, General Motors and Chrysler. 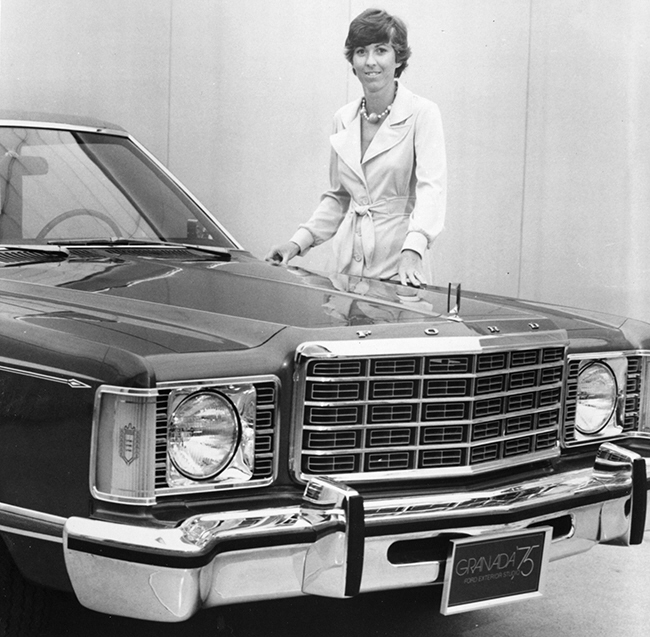 In 1977, Vandermolen went to Chrysler for a few months but quickly left when Ford invited her back to the interiors department to work on the "Panther" platform that included Ford's full-sized sedans, like the Grand Marquis and Crown Victoria. 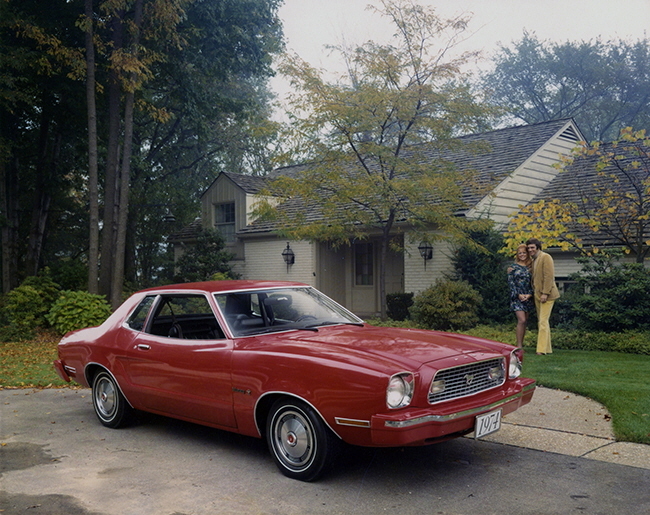 In 1979, she was promoted to Design Specialist, and around the same time she was invited to join "Team Taurus," the studio behind Ford's game-changing 1986 family sedan. 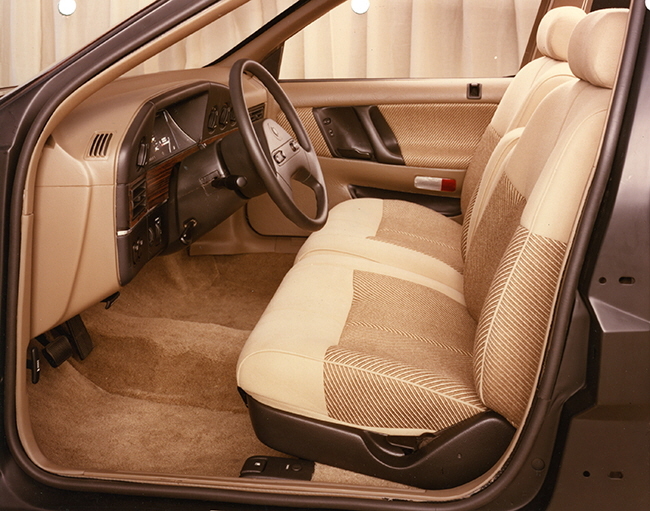 Vandermolen led the interior design of the soft-shaped Taurus, whose styling was a radical departure from the barge-like sedans cruising the streets at that time. She used the car's interior platform to echo the sedan's exterior curves, and in the process fought to introduce the principles of ergonomics—an area of design that Detroit had been slow to embrace. Many of her user-friendly interior innovations we now take for granted: She pioneered tactile controls that are recognizable by touch, introducing a raised bump on one end of buttons to indicate "on/up/closed" and a depression on the other end for "off/down/open." She also replaced the typical climate control push-pull switches with rotary dials, and created an optional digital instrument panel that gave the interior a futuristic flair. 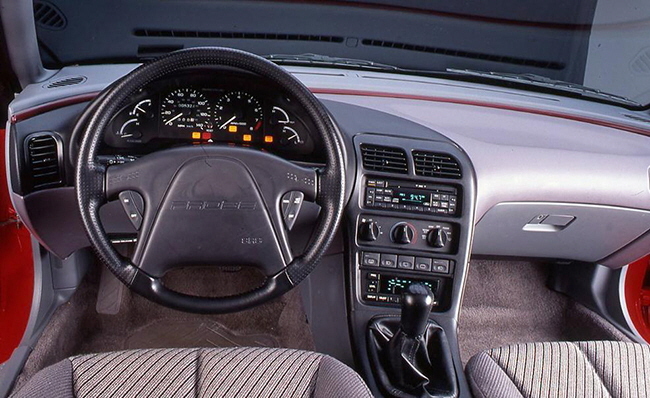 All of this was contained in a dashboard that centralized the controls and put them within easy reach of the driver, whereas virtually every American-made car before the Taurus had a straight dashboard, requiring the driver to lean forward to adjust far-reaching controls. Vandermolen was also concerned with making the seats more ergonomic, rejecting the longtime precedent of straight seat backs that were cushy like a sofa. The process to find a more supportive seat shape took over two and a half years and 100,000 miles in prototype testing, making it the most extensive seat evaluation Ford had ever undertaken. 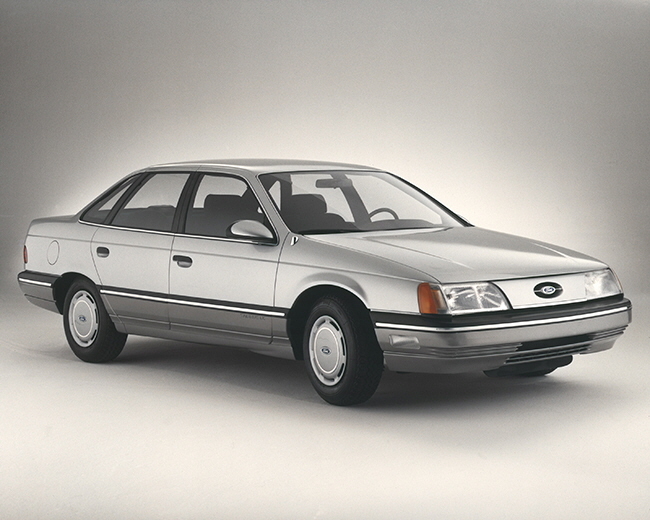 When the groundbreaking Ford Taurus was released in 1986, many compared its soft styling to a bar of soap or a jelly bean. Car and Driver praised Vandermolen's efforts with a review that called the interior "a bold attempt to reorder the priorities of American-made family sedans." She credited the Taurus's design success to the studio's forward-thinking attitude, saying Team Taurus often asked themselves, "Are you ready to go into the '90s with this car?" Ford called the Taurus a "Rounded Edge Revolution," and it quickly became the country's number-one selling vehicle, making up 25 percent of the automaker's North American sales and steering the company out of a previous downturn. 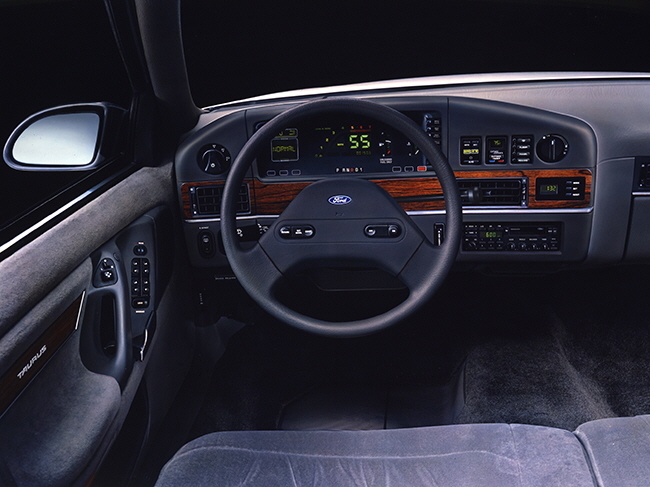 An optional digital instrument panel gave the Taurus futuristic flair. Taurus seat prototypes underwent 100,000 miles of testing to make them more supportive and ergonomic for drivers. 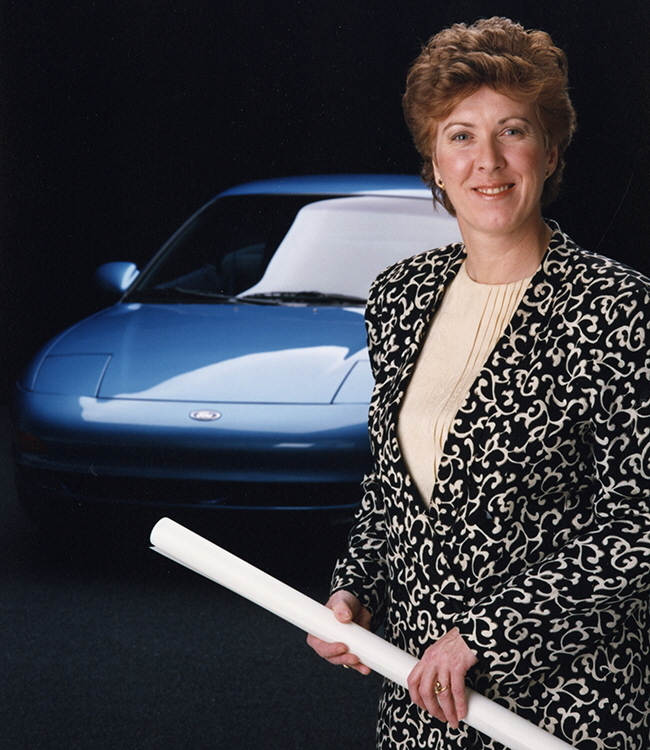 In 1987, Vandermolen was promoted to the position of Design Executive for small cars, overseeing interior and exterior design developments in North America—a first for a woman in the automotive industry—and also running a special studio to develop futuristic design concepts. 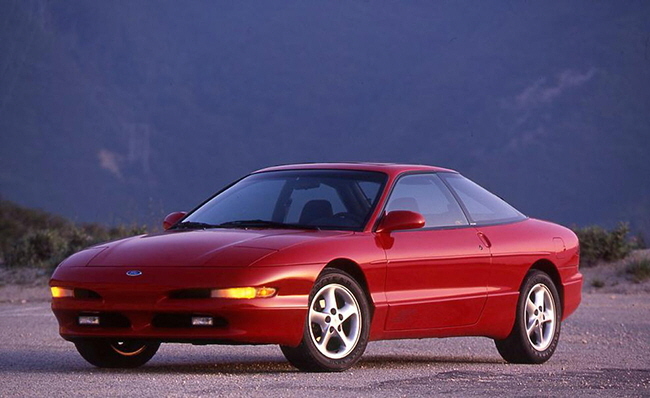 The first design that Vandermolen headed from start to finish was the 1993 Ford Probe, the second-generation model of the company's small sports coupe. 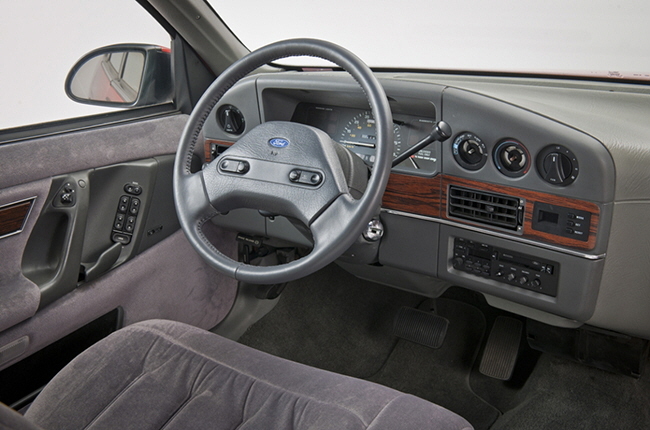 A 1992 Businessweek article credited the Probe's streamlined knobs and door handles, lightweight trunk door and lowered front end to Vandermolen's interest in improving the driving experience for women—her design process included asking her male designers to wear fake fingernails and threatening to make them wear skirts while getting in and out of the car. This focus on women drivers was a point of pride for Vandermolen throughout her long career at Ford; she once told her boss, "If I can solve all the problems inherent in operating a vehicle for a woman, that'll make it that much easier for a man to use." 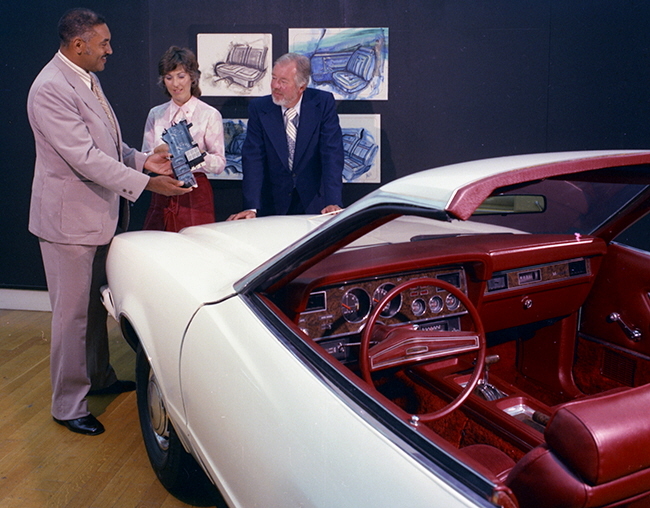 For a longer read on Vandermolen's career and an interesting window into design at Ford in the '70s and '80s, don't miss the transcript of her 1990 interview for the Automotive Design Oral History Project. This was the latest installment of our Designing Women series. 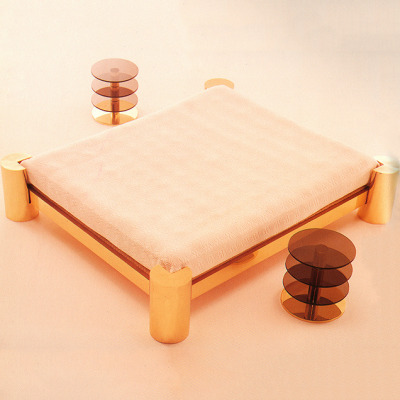 Previously, we profiled Aino Aalto. I really enjoy that she specifically improved the driving experience for women by making the male designers wear fake fingernails. Now that's a way to build empathy! Congrats on a well rounded and long career. You go girl! All significant contributions that we now take for granted. Thanks! I have always held a special place for the ford taurus as the worst looking car on the road. Specifically the bulbacious mid 90's rolling atrocities. My neighbor has one, my brother has one, woe is me - my visual serenity is assaulted daily and I now know who to thank!